American Alarm Corp. offers a variety of products and services that go beyond traditional security—enhancing your lifestyle, notifying you of important events occurring in and around your home or business while providing you with the peace of mind and protection you deserve. Whether you’re at the office, home or away, awake or asleep we provide security and protection. 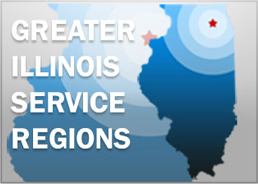 We are locally owned and operated and have been serving the Chicago land area for over 35 years. Our highly experienced team provides and installs award winning and patented home security, business security, 24-7 monitoring services, alarms, fire alarms, motion detection, closed circuit television, CCTV, access control systems, intercom entry systems, telephone systems, structured wiring, distributed audio / video home theater systems, home automation and central vacuum systems and services. In addition to providing you with unmatched protection and peace of mind, we provide premium customer service with one on one consultation and affordable pricing. Our consultants will help design packages to fit your budget. 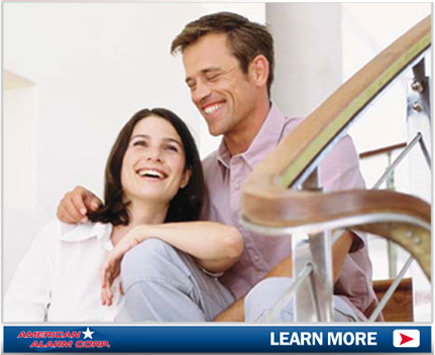 Call us today at 847-726-7200 to see why so many home owners and businesses trust American Alarm Corp. with all of their security and enhanced lifestyle needs. 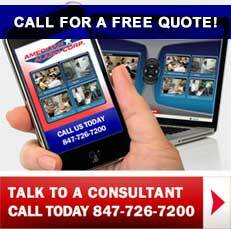 American Alarm Corp. can service and monitor systems installed by other alarm companies. If you are not satisfied with your current service or monitoring provider call us today. Transfer your existing alarm services to us in order to best protect your home, family, and/or business. Contact us today for a Free No Risk Consultation and one of our qualified technicians will evaluate your existing alarm system or discuss new monitoring options for your home or business. 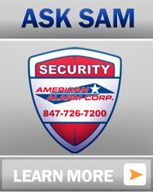 SAM stands for the Security Answer Man and SAM is ready to answer any and all questions you may have about American Alarm Corp. services and products. Whether your question deals with technology, product selection, compatibility or troubleshooting, SAM will point you in the right direction. So go ahead ASK SAM. Proudly Serving Antioch, Arlington Heights, Barrington, Barrington Central, Barrington Hills, Bartlett, Bensenville, Bloomingdale, Buffalo Grove, Cary, Central Lake County, Central Northwest Suburbs, Chicago, Chicago Metro, Cook County, Crystal Lake, Deerfield, Des Plaines, Elgin, Elk Grove Village, Evanston, Far Northwest Suburbs, Fontana, Fox Lake, Fox River Grove, Glencoe, Glenview, Gurnee, Grayslake, Harvard, Highland Park, Hoffman Estates, Illinois, Inverness, Itasca, Kenosha, Lake Bluff, Lake County, Lake Forest, Lake Geneva, Libertyville, Lincoln Park, Lincolnwood, Long grove, Mchenry County, Mettawa, Mount Prospect, Mundelein, North Barrington, Northbrook, Northwest Chicagoland, Northwest Suburbs, O'Hare Suburbs, Paddock Lake, Palatine, Rolling Meadows, Roselle, Round Lake, Schaumburg, Streamwood, Tower Lakes, Twin Lakes, Vernon Hills, Waukegan, Wauconda, Williams Bay, Wilmette, Wheeling, Wood Dale. © 2011 American Alarm Corp. All Rights Reserved All other product names and / or company names usedherein may be protected as trademarks of their respective owners. Site powered by UNIVERSALD Inc.